You scrub your dishes in your kitchen sink every day, but how often do you actually scour the sink itself? We tend to think of our sinks as being “clean” because they are constantly being rinsed with water (and a fair amount of dish soap too). Over time though, germs can get a foothold (did you know that it is actually dirtier than your toilet?). So now and again, you need to get serious about cleaning your kitchen sink. Otherwise, it won’t be a sanitary place to wash your dishes! That means rolling up your sleeves, grabbing a few cleaning supplies, and putting some elbow grease into the job. In this article, we are going to teach you everything you need to know to get your sink spotless and germ-free! You’ll notice we’ve listed the white vinegar as “optional” here along with the lemon juice. That is because they can be handy, but whether or not they are appropriate depends on the type of sink you have. Stainless steel: Keep acids and salts away from stainless steel, as well as ammonia and bleach. Also, avoid using sponges with an abrasive texture. You don’t want to damage the beautiful finish on your stainless steel sink. Some people said that you can use lemon despite its acidic properties. If you do this, we recommend not leaving it in contact with the steel for too long — or just skip it to be on the safe side. Ceramic: This material may be scratched easily. For that reason, you should not use abrasive materials or cleaning agents. Cast iron: Cast iron sinks come with an enamel coating, so you must take care when scrubbing it. 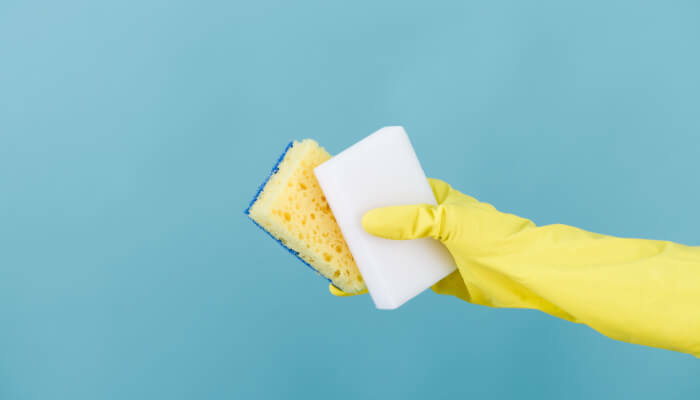 Abrasive cleaners, sponge pads, and wire brushes should be avoided. Copper: Do not use harsh chemicals. Avoid acids as well if the sink has a patina. Otherwise, the patina could be damaged or stripped away. Stone: As stone is porous, it can absorb anything that comes into contact with it. For this reason, you should not use harsh chemicals or acids. Porcelain: Mild acids like lemon juice or vinegar are usually fine so long as you do not leave them sitting for too long. Start by rinsing out your sink. Get all of the debris out of the way so that you can work. Next, dust the inside of the sink with baking soda. Get a sponge and start scrubbing. In contact with the wet surface of the sink, the baking soda will form a paste. This is a great way to pull up any stubborn debris and also take care of stains. It should give your sink a bit of a polish as well. Now it is time to tackle the drain flaps, the faucet, and the handles. Baking soda paste works great for this as well. Switch from the sponge to the toothbrush so you can get into all the nooks and crannies. Rinse out the sink. Get a paper towel and wipe down the faucet and handles as well so that all of the baking soda is gone. This final step is optional. If your sink finish is likely to be damaged by vinegar, do not do it. If vinegar is safe to use in your sink, soak a few paper towels in it, and then use them to line the inside of the sink as well as the faucet and handles. Go and do something else for 20 minutes, then come back and remove the paper towels. Finish up with one more quick rinse of your sink using dish soap and warm water. Got a stubborn stain that just won’t come out? You may need to do some concentrated spot work. This is where you can use the lemon juice. Try mixing it in with some borax (so long as you are not cleaning a surface where borax will be too abrasive) and scrub hard. Alternately, you can try again with the baking soda or the vinegar. Harsher products like ammonia, bleach, and hydrogen peroxide might work if absolutely necessary, but these can damage a lot of sink finishes, so use them only as a last resort. What is the best way to avoid having to give your kitchen sink a meticulous cleaning? You know the saying, “an ounce of prevention is worth a pound of cure.” Well, that applies with kitchen sinks too. After every use of your sink, rinse the entire basin thoroughly. Then grab a soft cloth and wipe down all the surfaces so that they are dry. Do that each and every time, and you will minimize the amount of maintenance your sink needs to stay sparkling clean. Now and again, you will still have to thoroughly clean and sanitize your kitchen sink, but the more diligent you are with the daily rinse and wipe-down, the less often you will need to bring out the baking soda and the vinegar. One last tip is to make sure you do not leave certain foods or beverages in contact with your sink for too long. Coffee grounds and tea bags are particularly notorious for leaving deep, stubborn stains on sink surfaces. The sooner you get these out of your sink and rinse out any residue, the better. Once you get your dishes washed, dried, and put away, the last thing you probably feel like doing is scrubbing down the entire kitchen sink. But you know what? A clean kitchen sink is worth it. Keeping your kitchen sink sanitized means you and your family stay healthy. And by buffing up the polish on your sink now and again, you can bring it back to that same beautiful shine it had on the day when it was new. Why It’s Important To Clean Hair Brushes? So you love your hair, you take pride in your hair. You wash your hair daily, have regular appointments with your stylist to get it cut, colored, so on and on. It’s possible you spend far more than you even think you should on your hair. You love pampering your hair so much that you forget that your hair brush also needs pampering from time to time. Take some time to make sure you have clean hair brushes. Imagine this, you just finished washing your hair. It’s all nice and clean. And then you take your brush or comb that you’ve used a million times before on your unwashed hair and use it on your freshly cleaned hair. Think about that for a moment. You’ve just taken your dirty hair that was left on the brush/comb and mixed it with your freshly clean hair. Now it’s not as clean as you may think it is. Let’s face it, clean hair brushes and combs are a lot better than dirty brushes and combs. They collect debris of dirt and dead skin and its continuous build-up is not good for your lovely locks. The residue left behind by those lovely hair products, also your hair natural oils can leave your hairbrushes and comb look grungy. Along with your own, hygiene it’s very important to keep tools of daily use like comb and hairbrushes clean. Your hair brush and combs are a tap of germs, conditioner, oil, dead skin and old hair. It may not seem like a very big deal but clean brushes and combs help the way you style your hair and keep them fluff free. Wait! 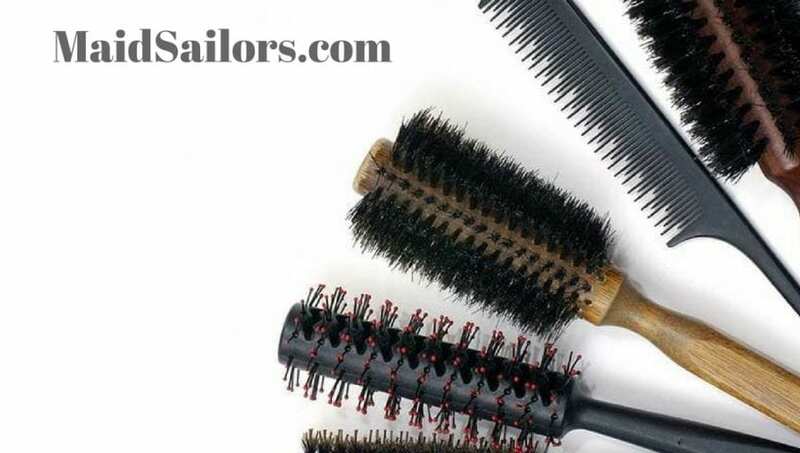 There is no need to throw out that old brush or comb and get new ones just because it has accumulated so much lint over the gap of months or years. Here are some very valuable tips to keep your hair brushes and comb clean and work like new. Place a small dab of shampoo onto the bristles of the comb or hairbrushes. Carefully rub the bristles together with your hands but make sure the points of the bristles do not hurt you. For the remaining bits of hair and debris, soak the brush under warm water with a bit of baby shampoo or detergent. Generally speaking, baby shampoo is very good for cleaning makeup brushes. The warm water and detergent will soften the dirt and debris in the hair bristles.You can also use vinegar and baking soda for cleaning hair brushes and combs. Pour half cup of vinegar in half cup of warm water and soak all your brushes and comb into it for about half an hour. Wait till the dirt and hair get dampen and soft. Similarly, you can mix baking soda with warm water and soak in your hair brushes.But remember, an exception to the baking soda process is that, not to immerse certain types of hair brushes and comb into it. 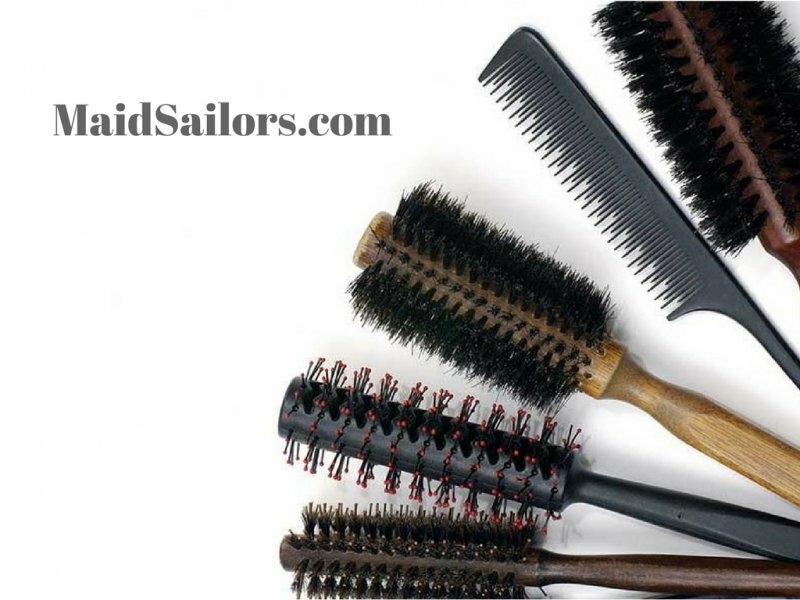 The cushioned brush, the wooden bodied brushes, rubber brushes and comb and natural boar bristled brushes. Permitting water to get through the vent hole on cushioned brushes will erode the cushioning of the brush faster and it will reduce its shelf life. A wooden bodied brush or comb may cause wood to absorb water and may cause damage to the finish and make the body swell and break. While natural boar bristle brushes contain natural hair that would take in moisture as would other types of natural hair so the bristles can twist or curl if dampened. You can use a toothbrush for cleaning the debris and left over in the bristles of the hair brushes and comb. This will indeed be helpful in cleaning the hair brushes and comb till the end of their root inside the bristles. It would be advisable to use a new tooth brush rather than old one. You cannot use the one for your hair that you used for your teeth; could you? Rinse the combs and hair brushes well. Take a clean cotton towel would be preferred, dry the combs and hair brushes with the help of the cotton towel and let the remaining water dry on its own. Keep them in some clean place so that further dirt, grime and dust particles do not stick on it as this can easily happen when the combs and hairbrushes are wet. Now, after drying, again clean it with a dry towel so that the dust particles are removed if any are there in the hair brushes and comb. And VOILA, You are done! Your hairbrushes and combs are now clean and you can use them for keeping your lovely locks beautiful. Washing the hair tools twice a month can be very helpful for your long tresses; it will not only keep your hair clean but also helps in keeping your hair healthy. Throw away pieces of hair stuck in your brushes because that could build up oil in your scalp and this can damage your hair. Always clean your hair brushes and comb gently so bristles do not break off. Never use finger to scrub a brush, it is very painful to get pinned in the finger by a bristle and even worse under a fingernail. Hopefully, you’ve learned some awesome tips on how to keep your brushes and combs clean! If these worked for you, drop us a comment below. And if you have any other tips on house cleaning please leave us a comment below. We love to hear from our readers! While scrubbing your oven can be an overwhelming task, there are many reasons to keep your oven clean. A clean oven can make baking more efficient because small pieces of burnt food in an oven can absorb the heat, which makes your oven less efficient. Even if you have a self-cleaning oven, it is still necessary to give it a good scrub every now and then. In fact, the self-cleaning feature with these ovens can cause carbon monoxide buildup and even respiratory problems. This depends on how often it is used. Individuals who use their ovens more will need to clean it more often than those who don’t. For those who are avid cooks, it is generally recommended to clean their ovens once every three months. Those who rarely use their ovens can get by with cleaning it once or twice per year. There are signs to look out for that can let you know it’s time to give your oven a scrub, which includes crust or residue build-up inside the oven or an oven door that is coated with grease. If you are still looking for the motivation to get down and dirty to get your oven clean, know that the grease coating and burnt remnants can affect the taste of anything cooked in your oven. Think of that next time you have to cook for guests! First, take everything out of the oven, which includes racks, thermometer, oven stone, etc. Place paper towels beneath the floor of your oven to absorb any dripping. 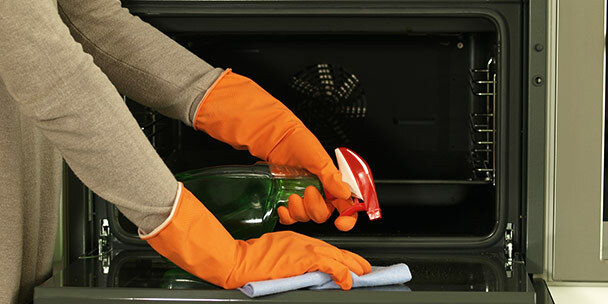 After you put your gloves and safety glasses on, you can spray the oven cleaner throughout the inside of the oven. Be sure to cover the door, top, floor, sides, back, and corners. However, avoid spraying the heating elements if you are cleaning an electric oven. You can lift them and spray underneath. Avoid spraying oven cleaner where the gas comes through if you have a gas oven. Most oven cleaning products will need to sit about 20 to 30 minutes. During this time, you can spray your oven racks with a cleaner and put them in a large trash bag. This step should be done outside. Check your cleaning label to see if there are any recommendations for efficiently cleaning your oven racks. Use a damp cloth to wipe down the inside of the oven. There may be areas that are sticky. Remaining spots can be cleaned with an abrasive tool. These may include microfiber sponges or wet scouring pumices. It is important to check every corner to make certain the cleaner is completely removed. After the inside of the oven has been wiped down, you can remove the racks from the bags and wash them with soap and warm water. You can also use an abrasive tool to remove crusted food on the racks. When the racks are dry, you can place them back in the oven. There is an old saying that emphasizes the importance of having a fence at the top of a cliff rather than an ambulance at the bottom. The same principle applies to most home maintenance. Instead of asking how to remove the stains your dog is leaving on the carpet, ask how to stop your dog from peeing on the carpet in the first place. Rather than making your oven cleaning an intense pain that you have to do once every blue moon, you can take steps to prevent it from becoming a filthy mess in the first place. For instance, after you clean your oven, use an easy-clean oven sheet. These are non-stick sheets that come in a variety of sizes. Another option would be to place a baking sheet on the bottom rack to catch food. Using roasting bags for meat and vegetables can help you avoid splatters and spills. It will also help if you remove the tray when you are checking the food as opposed to poking food that is cooking inside the oven. Each time you finish cooking, try putting an oven-safe bowl of water inside the oven, Heat the oven to a high temperature for about 20 minutes. This will effectively loosen grease and dirt. When the oven is cool, simply wipe it down to remove dirt and grime. 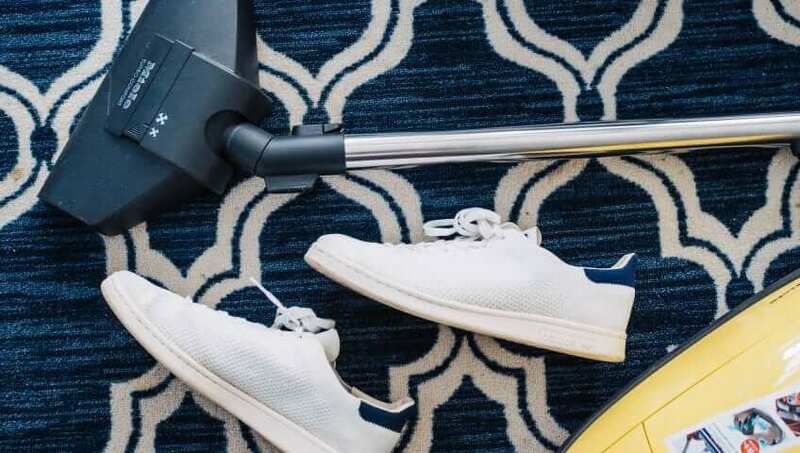 A little effort given more frequently is better than a half day of labor to clean a massive mess that has been left unattended for a long time. In recent years, wallpaper has really made a comeback when it comes to interior design and decor. Long gone are the outdated wallpaper designs of the past. Today, designers use modern wallpaper to make a statement without the use of paint. Most commonly, patterned wallpaper is now used to create eye-catching accent walls in living rooms, bedrooms, bathrooms, and other living spaces. If you have wallpaper in your home, it’s important to understand how to properly clean and maintain it. After all, it will require some special care when compared to a “traditional” painted wall. By knowing how to clean wallpaper, you can keep it looking its best for years to come and avoid the need for stripping and re-papering. Many wallpapers have a textured surface, which makes them more prone to gathering dust over time than regular drywall. If your wallpaper has a textured surface of any kind, you’ll need to dust your walls regularly to prevent build-up and cobwebs. This can be easily accomplished with a micro-fiber dust wand. Take the time to dust the walls at least once a week; if you have higher ceilings, you may want to invest in a dusting wand with a telescoping handle that will help you reach all the way up to the ceilings. Otherwise, you’ll need to get up on a ladder to dust those hard-to-reach places, such as corners where walls and ceilings intersect. These areas tend to gather the most build-up of cobwebs. Another alternative to dusting your wallpaper is to actually use a vacuum with a hose attachment to get the job done. This can be quicker than manual dusting and just as thorough. Dusting your wallpaper may not seem like a necessity, but it’s important because dust and other debris can not only dull your wallpaper over time but can also cause problems for people in your home with allergies or asthma. You might be surprised at how much debris can be “trapped” on a wallpaper surface, especially if it’s textured in any way. Dusting your walls only takes a few minutes and can make a huge difference in your indoor air quality. Scuff marks and minor stains can most likely be removed with a magic eraser sponge, which is made out of melamine foam. This foam acts as a gentle abrasive, which is great for removing stains and scuffs from just about any surface. To use a magic eraser, all you need to do is get it damp and wring it out. From there, you can scrub away stains from your wallpaper using small, circular motions. Just be careful to test the magic eraser on a small and inconspicuous area of your walls before moving forward with the entire wall. Some types of wallpaper may be more delicate and may not hold up well to the abrasiveness of a magic eraser sponge. 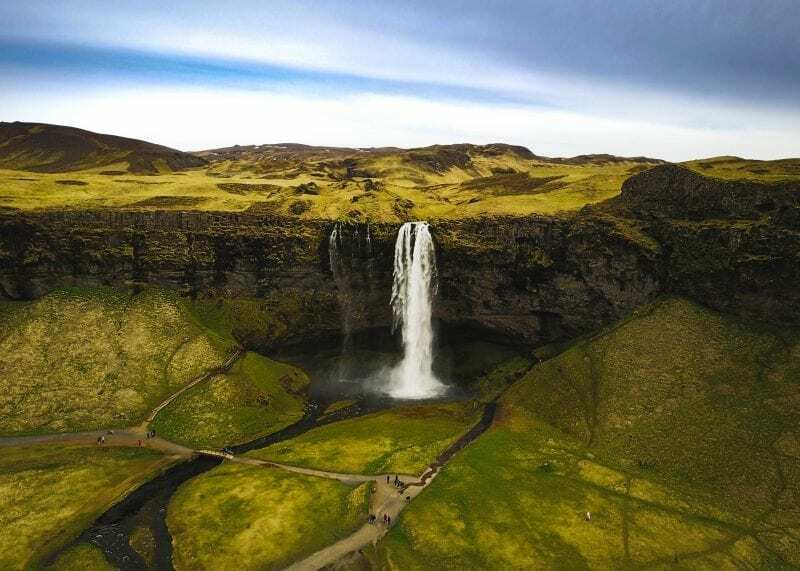 It is recommended that you test a small area and wait for 24 hours to make sure there is no discoloration or other damage before moving forward. If you’re not comfortable using a magic eraser on your wallpaper because you’re worried the colors will run or other damage will occur, look into purchasing a cleaning dough specifically made for use on wallpaper. This “wallpaper dough” can literally be dabbed across a stain to remove it. You can find this at your local home improvement store or you can use artist’s dough from a local craft store. It will work just as well, even if it’s not specifically designed for use on wallpaper. Even with regular dusting and occasional spot-treating of stains, walls may need to be thoroughly washed from time to time. If you need to wash your wallpaper, you can use a mixture of warm water and a gentle dish soap to do the trick. Just make sure that if you go this route, that your wallpaper is of the washable variety (most are, but it’s good to check with the manufacturer before moving forward). Once you have your soap and water mixture, all you need to do is dip a sponge in it and thoroughly wring it out so that it’s not soaked. Then, using back and forth motions, gently scrub your walls to remove stains and discoloration. The key here is to make sure that the wallpaper doesn’t get too wet; you don’t want water dripping down your walls as you wash. Be especially careful when washing around wallpaper seams that there isn’t too much water on your sponge. If you use too much moisture (even on a washable wallpaper), the water could get behind the seams in the paper and wear away at the adhesive over time. This will lead to bubbling and warping of the paper, which you most definitely do not want! After you’re done washing your walls, be sure to follow up with a towel to dry them thoroughly. And never use a chemical or abrasive cleaner on your wallpaper unless you first take the time to spot-test an area. Even if the cleaner is advertised as being made specifically for use on wallpaper, you’ll want to play it safe. If you know the manufacturer that made your wallpaper, check online to see what their recommended guidelines for cleaning are. You may even be able to purchase a special cleaner through the manufacturer itself that will do the best job without causing any damage. Wallpapers can vary greatly in their coatings, textures, and care instructions, so it’s always best to refer to the manufacturer whenever possible. Washing walls with wallpaper can require a bit more delicate care than washing a traditional wall that’s been painted. However, with a bit of research and some extra precautions, you can keep your papered walls looking their best. With regular dusting, spot-cleaning for stain/scuff removal, and the occasional washing, you can keep the walls of your home clean. Hiring a professional house cleaner can also take some of the stress out of keeping your walls (and the rest of your home) clean! At Maid Sailors, our certified professional cleaners know what it takes to clean the surfaces of your home’s walls, including those with wallpaper. From dusting and removing stains to washing walls as needed, you can enjoy all the benefits of clean walls without having to lift a finger. Meanwhile, our team provides all the cleaning products needed to complete your service so you don’t have to worry about it. 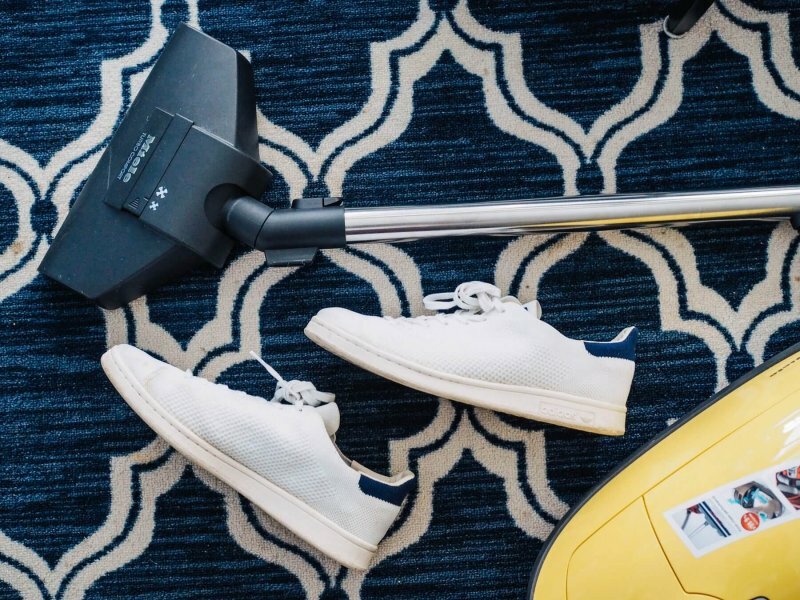 If you’re interested in finding out more about our professional cleaning services or would like to book your appointment, don’t hesitate to reach out today by calling (212) 299-5170. You can also book your appointment online in 60 seconds or less! Wood or cover. Is this a trap question? 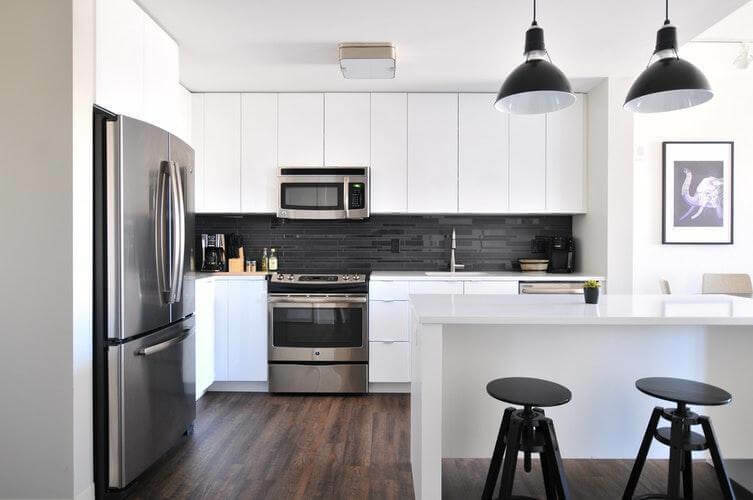 In case you’re in the market for a kitchen rebuild, you most likely think you definitely realize the appropriate response about what material you ought to use for your new cabinetry. All things considered, isn’t wood the best alternative the whole distance around – increasingly stable, all the more tastefully satisfying, ready to be tweaked from numerous points of view, and ready to help up the estimation of your home? Technological advancements have permitted overlay cupboards to progress into an item that rivals genuine wood, yet from various perspectives outperforms it as far as support, solidness, life span, and cost. Advances in the configuration have brought about the capacity to make outside facade that looks precisely like wood. Then the advancement of solid materials has brought about support free cabinet outsides that can be adequately cleaned off, without a particle of harm done or further upkeep required. The fundamental drawback to wood is it can require a touch of consideration. Wood can twist, stain and split if it is not appropriately kept up. It needs regular washing with warm water and gentle cleanser and may likewise mean oiling or revamping every so often. But, if you want to cherish the appearance of wood yet need all the more a “splash it-with anything-wipe-and-go” sort of kitchen, laminated kitchen cabinets pre-assembled is the best answer. Nonetheless, as you consider it, know that not all cover is made an equivalent. You will at present discover variants like the molecule boards. The best quality laminate kitchen cabinets pre-assembled are produced using what’s known as “MDF”— Medium-Density Fiberboard. In case you settle on the decision to run with cover cupboards for your kitchen, you’ll need to watch out for those three letters. The distinction in esteem is night and day between molecule board and MDF. Laminate kitchen cabinets pre-assembled have betrayed numerous individuals into trusting they were taking a gander at genuine wood. Trust us, and your visitors will be unaware! Below are seven kitchens with laminate cupboards that were not genuine wood. Laminate kitchen cabinets are the perfect external pair for white cupboards. White is the most well-known shading. However, it additionally takes the prize for destined to demonstrate fingerprints. In this way, a maintenance-free surface will be your closest companion. With wood cupboards that are painted white, you are restricted by the way you can clean them, and the wood is as yet powerless to twisting and so forth. There are cherry-conditioned cupboards that are laminated, however, you may be tricked first and thought they are wood. The mind-boggling subtleties of the raised-board entryway help to pull off the ploy. In any case, the warm shading and practical grain are only a fantastic finish. An interesting cookroom kitchen includes a warm Tropical Mahogany complete that would trap even the most loving fashioner. For instance, if every single wood grain inside the external facade copies genuine mahogany wood, making profundity and staggeringly persuading visual intrigue. The outcome is a show-stopping kitchen that the property holder paid a small amount of what they would have paid for natural wood cabinetry. For similar reasons we clarified for white cupboards, a laminate is ideal for dark cabinets. Dim is a level shading, so soil and fingerprints that amass in any kitchen will be more unmistakable than they would be on a fluctuated wood-grain surface. It is another circumstance, similar to white, where the wood partner will be painted dim. Indeed, even expertly painted cupboards will require more upkeep, and they won’t be as tough or durable, as astounding as laminate kitchen cabinets pre-assembled. If you don’t want to clean the cupboards, you can always hire a maid service. It is genuinely energizing, supposing that you like that reclaimed wood look, at that point you might be acquainted with the expense related. It’s super-expensive. In any case, prepare to be blown away. Laminates that resemble recovered wood will in general cost equivalent to overlays that resemble customary wood. In this way, you can get the rustic look you’ve been longing for without hurting your financial plan. There are current kitchen’s cover cupboards that include Hazelnut finish. It has an extremely decent iridescence that verbalizes the natural sheen that genuine wood can display with specific completions. There is genuinely nothing a wood overlay that can’t effectively imitate. Even if a cupboard is adequately secured in white covers, you can still show off the craftsmanship of the doorframes by giving it a rich dark coating. Coated laminate cupboards is a beautiful method to include visual intrigue, and make your cover cupboards look significantly increasingly like genuine wood. 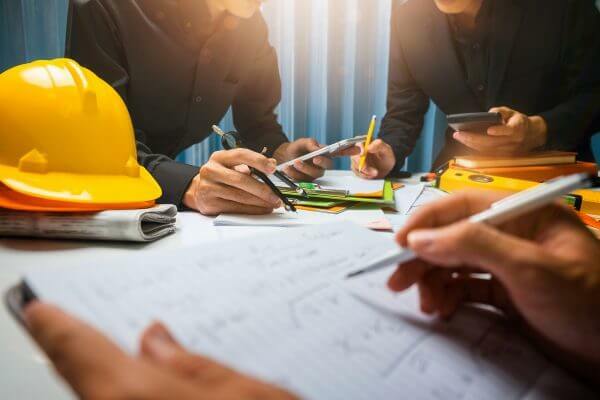 When it comes to the homes of people, usually they’ll be perfectly satisfied with what they’ve originally gone with—especially if they had a hand at designing it all. That being said, nothing is perfect, and you’ll always have room for improvement. One of the most probable space in your home to receive such improvements in your kitchen. Most of the time, these are usually simple with a few kitchen appliances. In the Philippines, kitchens are seldom given love to. 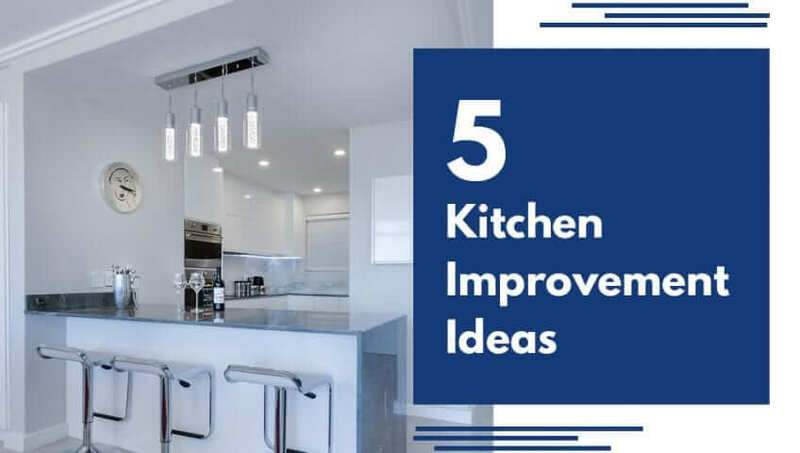 Yes, you’ll see one that’s designed to the T from time to time, however, most, if not all of them are usually just plain and convenient and functional—just as how all kitchens should be. That being said, you can always turn a simple, and functional kitchen into something way more appealing to the eyes. There are many ways for you to turn your kitchen to something extraordinary. The form simply adding things, to fully renovating the whole space. Check out the list below! Sometimes kitchens are only held back by how they look. It’s already complete with the finest kitchen appliances, and the space is relatively big. The only thing that makes it somewhat bland and unappealing is the color of the cupboards, the walls, and even the tables. When this is what you’re dealing with, then you should focus on swapping out the colors for something different. Try painting the walls with something brighter or darker. And make it pop out. A common tactic is to keep with a grey scale design.it fits well with many kitchens, no matter what their physical designs and decorations may be, and they’re very much very appealing to look at, especially if you play with the color scheme correctly. Now there are also times wherein the kitchen is spacious and incredibly functional. However, there’s just not enough tech to help you with the dishes that you want to make. Or worse, the stoves, the refrigerators, and the sinks are all broken, or at least malfunctioning. You should never reach this level of disastrous kitchen space. And the best way to prevent it is to make sure that you have the best and the latest kitchen appliances in the Philippines at all times. Remember, you can create amazing dishes even with just a simple stove, but with a fully equipped kitchen, your options are endless. There’s not much that’s worse than a kitchen that has dim lighting. Not only will it be hard for you to see, but it will also be very dangerous especially when you’re preparing and cutting some of your ingredients. You don’t need to fully illuminate the whole area, just the countertop and the stove will be enough—but of course the better light the area, the better your sight, the easier for you to work! A safe kitchen is a great kitchen. You’d probably be worried about just how sometimes preparing food can be dangerous. And sometimes, cooking can be a relatively stressful process, especially for those who are new to it. That being said, if you already have your mind on what you’re cooking, it’s way better if you’re sure that no matter how messy you become, you won’t have to think about getting a surprising electrical shock from one of your appliances. One of the best ways to ensure this is to replace any normal outlet that you have in your kitchen with GFCI receptacles. These special outlets are designed to automatically cut off power when even the tiniest of splashes of water gets in proximity. They’re great for preventing electrical shocks from places which are normally wet and moist—the kitchen! So if you really want your kitchen to be as safe as possible, then this will be a great investment. 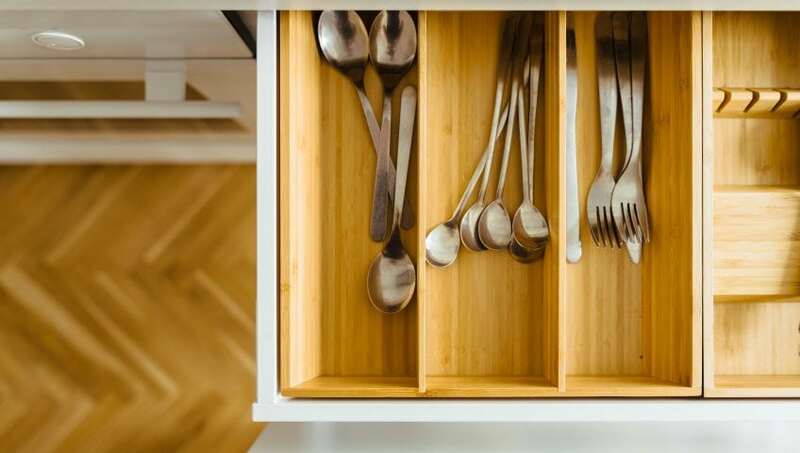 Even with your current number of cupboards, cabinets, and drawers, the time always comes where you begin to fill up all of your storage compartments with things. This is especially problematic for people who like to stock up on canned goods—in case of emergencies. If that’s the case, then simply add a bit more storage into your kitchen! Maximize the space if it’s too spacious. Organize your cupboards and cabinets. You can even make use of a mobile table for storing and delivering some food! Your kitchen is one of the most frequented places in your home. That’s basically where all the cooking will be—that includes food preparations and storage as well. The kitchen will almost always be full of life and that means it should look the part. 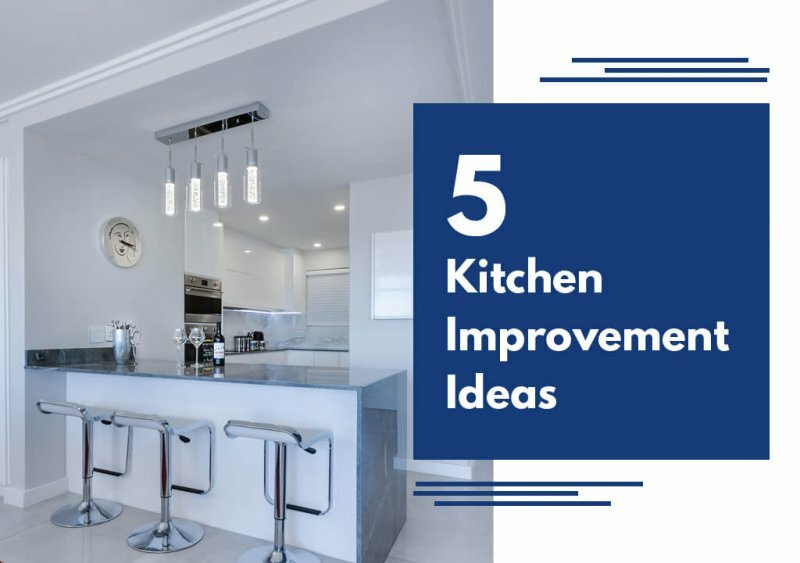 If you’re not satisfied with your kitchen, then don’t worry because there are a lot of options for how you can make it better. Check out the points above. Try them out for yourself! Even if you are cleaning your house well, you could be missing one crucial area that affects your indoor air quality: your mattress. Nightly, our bodies make about half a liter of sweat and discard almost a gram of skin. Your mattress can quickly become home to fungal spores, bacteria, and dust mites that feed in your own shed skin. The regular mattress is home to about 2 million dust mites. It’s not surprising that without regular mattress cleaning, your bed may be the dirtiest thing in your whole house. 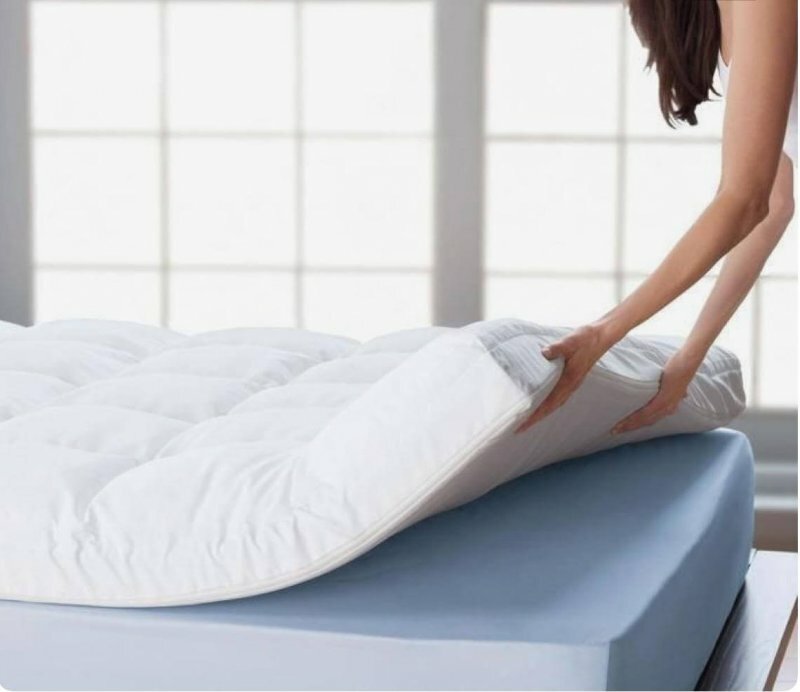 Even in case you’ve got a mattress pad in your mattress, the mattress still needs cleaning because body oils, dead skin, dust mites, sweat, and other residues from pets and kids get through to the mattress through the mat. The cloth used on mattresses is not always designed to be stain resistant as a mattress is still covered, unlike rugs, rugs or carpeting. Any stains on bedding could be tricky to eliminate, but the primary causes of cleaning a bed would be to extract dirt and disinfect the substance. If the bed has a guarantee, the warranty provider may require expert mattress cleaning. The adult needs a minimum of eight hours of sleep per day, which equals 1/3 of your life and provides an excellent reason to keep healthy indoor air quality in your bedroom. When you lay down on your bed at night, it excites little dust particles in the mattress which you can breathe in. 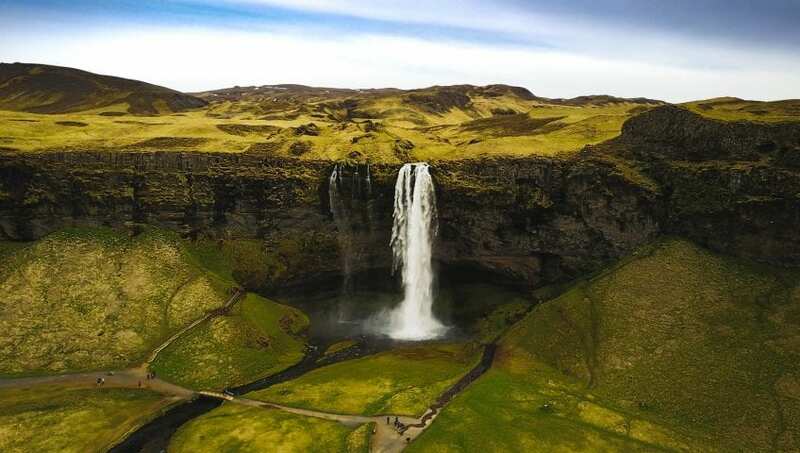 Those dust particles may result in poor indoor air quality which causes health issues like eye and throat irritation, coughing, upper respiratory congestion, watery eyes, and exhaustion. House dust mites live mainly in mattresses, and they are a prevalent cause for allergies issues including asthma, eczema, and rhinitis. Eliminating house mites and dust out of mattresses reduces their existence, and doctors suggest proper mattress cleaning for their allergy sufferers because they frequently have terrible allergy attacks while sleeping because their bodies respond to the dust mites in the bedding. Minimizing contact with the allergens can decrease allergy triggers that could cause a more serious health condition. Using a clean, hygienic mattress to sleep can help you rest easier with better peace of mind. You know you are not sleeping on a mattress full of kilograms of dust particles, dead skin flakes and millions of dust mites. An excellent night’s sleep helps enhance emotional wellbeing and physical health, so a clean mattress is right for your health. Did you know that your mattress cleanliness directly affects your sleeping? Your mattress affects your health beyond just comfort and support. Your mattress affects the area’s air quality, affecting the oxygen your cells intake in as they rest and recover. Mattresses are costly. The average price of a bed is between $800 and $2500. If you don’t look after your mattress, then they have an average of 5-7 year life. Cleaning (and rotating) your mattress with natural methods can boost this life expectancy to 8-12 decades. How Frequently Should You Clean Your Mattress? The majority of us turn a blind eye to anything is residing in our mattress or don’t give it any thought at all after we eliminate our sheets and set them in the washing machine. The bedding itself needs to be washed at least once per week to minimize the quantity of sweat, oil, skin, and fluids that enter your mattress, although your cushions should be cleaned at least twice annually. In regards to the mattress, aim for a minimum of twice annually or once every season. In other cases, if your mattress is more than eight years old and becomes saggy, then it is a sign to replace your mattress. Solay Hybrid Mattress is a kind of hybrid mattress offering great breathability and support. To make a better choice, read our review: Solay Hybrid Mattress Review.